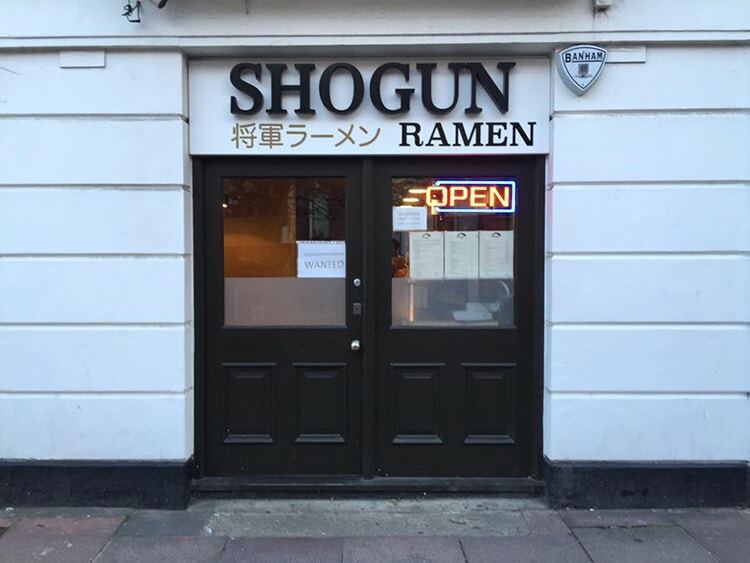 Head into Brighton’s historic Lanes and you will come across Shogun Ramen, an authentic Ramen bar and Japanese restaurant. Behind the clean white exterior with contrasting black doors, you will find a sleek and simple restaurant that is bright and inviting. Ramen bars are celebrated for their casual atmosphere and fast efficient service, and this is true of Shogun. Great for lunch or dinner, alone or with friends, Shogun is best enjoyed whilst sitting at the bar and interacting with the staff. Authenticity is an important aspect to any meal and Shogun do not disappoint. Their ramen broths are cooked for 14 hours to lock in the complex flavours before being topped with your choice of meat, fish or vegetables. 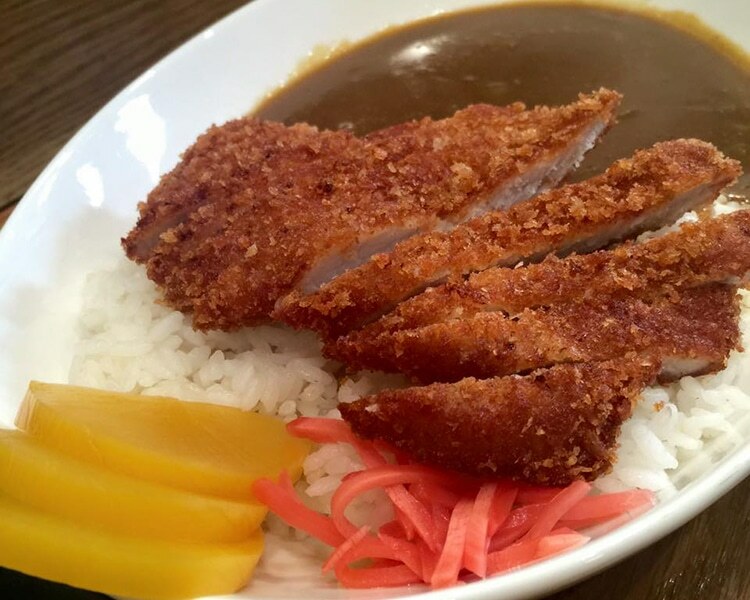 Fried dumplings and katsu curries are also on offer as are a variety of different sides and exotic drinks. 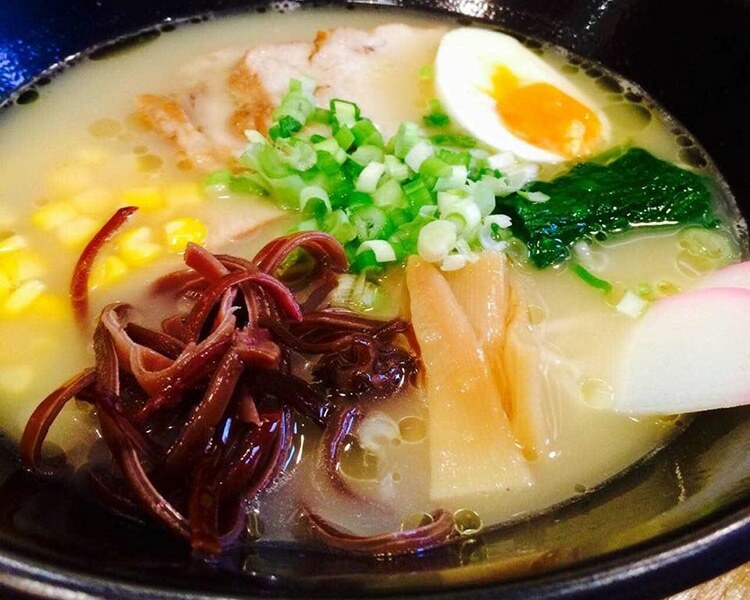 Ramen is the order of the day and you will not be disappointed by Shogun’s swift and superb dishes. From the outside you could be forgiven into thinking Shogun Ramen is a tiny restaurant, well you would be wrong. The upstairs area is dominated by the full-length kitchen and serving area. Head downstairs and you will discover further seating and a restaurant style service.